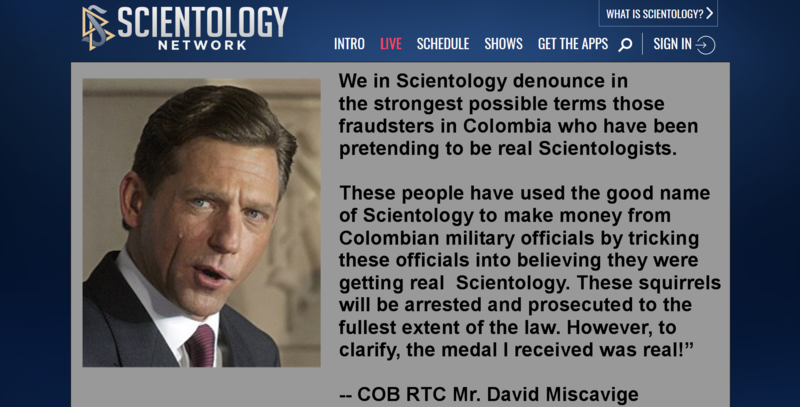 Scientology Clarification on Colombia – OTVIIIisGrrr8! David Miscavige Fires Everyone Working at Scientology TV! The medal may have been real, but COB RTC Mister Captain HRH the dowager duchess Miscavige sir yessir is looking increasingly fictional. COB is the biggest fraud of all.